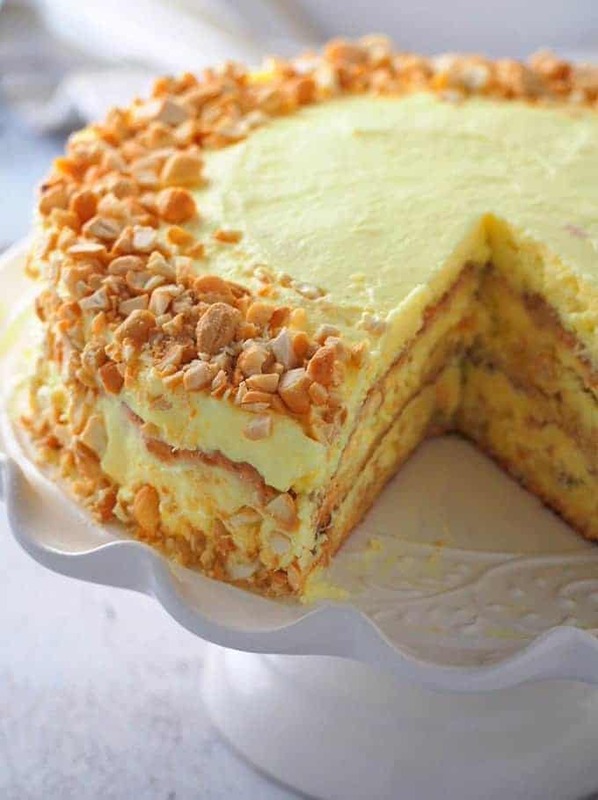 Sans Rival made of nutty meringue layers, creamy French buttercream filling, and crunchy cashews. 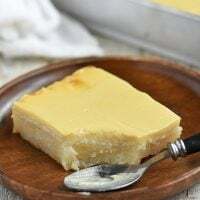 Chewy and buttery, this Filipino cake is truly one special treat! Hello, dear Kawaling Pinoy readers! 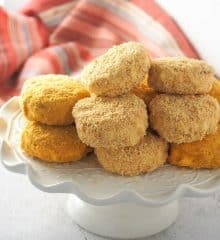 I am Sanna, the baking gal from Woman Scribbles, and I am back with another sweet treat for you! 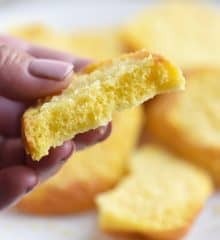 I have a few of my favorite baked goods recipes on the blog already, and I am excited to add this Sans Rival to the list! 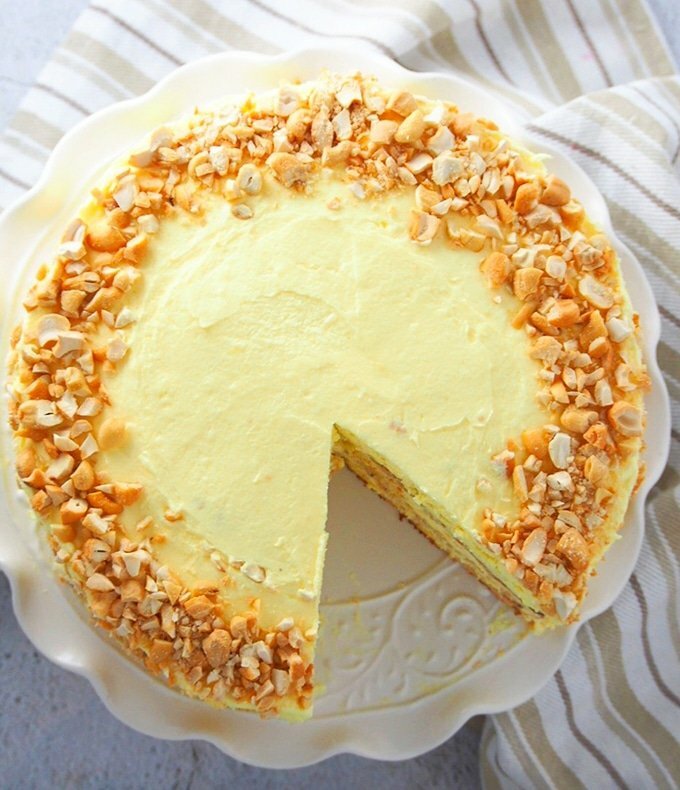 Chewy, creamy, and buttery, this cake is a unique and heavenly dessert perfect for any occasion. I can’t wait for you to make it! Sans Rival which means without rival lives very true to its name. 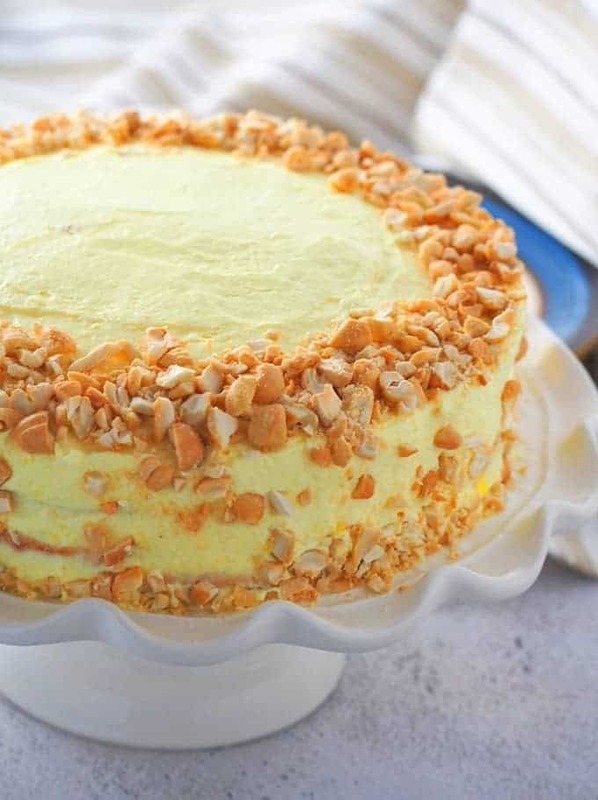 With scrumptious layers of nutty meringue, creamy French buttercream, and chopped cashews, this Filipino dessert cake is far from ordinary! Inspired by the French Dacquoise which is made of almond and hazelnut meringue, the Sans Viral has been adapted to fit local tastes and availability of ingredients such as the use of cashews. 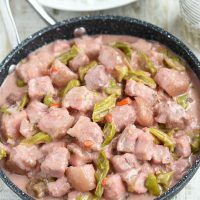 If you love the luscious flavors, but prefer a smaller version of the cake, stay tuned for my silvana recipe coming up on Kawaling Pinoy soon! 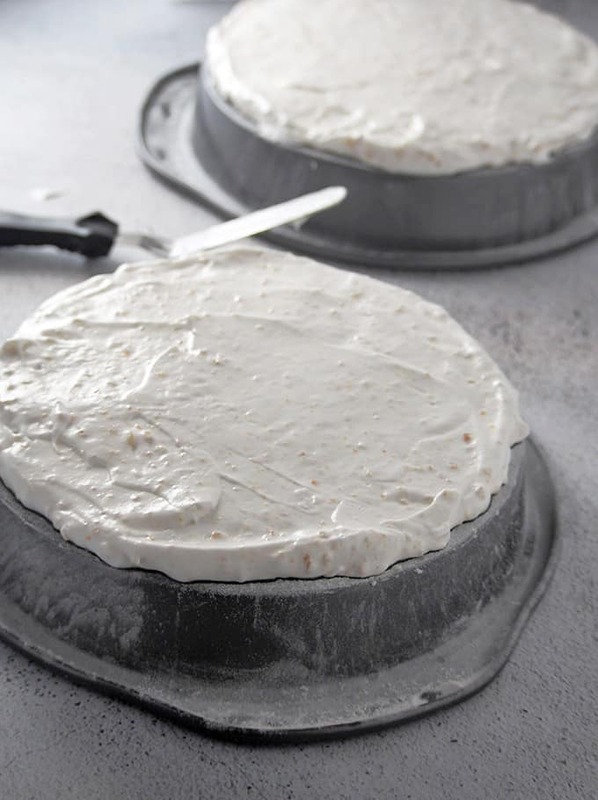 The meringue layers are made of whipped egg whites with finely chopped cashews folded in. 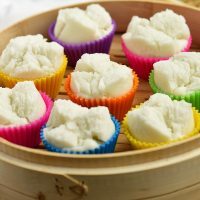 In a bowl of a stand mixer, beat the egg whites on medium-high speed for a minute and then sprinkle the cream of tartar. Continue beating until soft peaks form. Gradually add sugar while beating continuously until stiff peaks form. Pour in the vanilla and add about 1/3 of the finely chopped cashews. Gently fold in using a rubber spatula. Fold the remaining cashews in two more additions. Invert three 9-inch round cake pans and grease and flour the bottoms. Scoop equal amounts of the meringue batter on the surface of the prepared pans and using a spatula, spread until smooth and evenly flattened. Bake in a 325 F oven for about 15 to 20 minutes, or until the meringues are lightly browned. Remove from oven and while still hot, use a wide spatula to gently lift the meringues and transfer to a cooling rack. The meringue will expand during baking but will shrink back to their original sizes as they cool. There is no need to trim them. French Buttercream is made of whipped egg yolks, sweetened with a cooked sugar syrup, then made rich with softened butter. In a medium saucepan, combine the sugar and water and stir. Let the mixture boil over medium heat. Once boiling, place a candy thermometer in the pan to monitor the temperature. Meanwhile, beat the egg yolks in a stand mixer on high speed until the mixture starts to thicken and become pale in color. Continue to beat while the sugar/ water mixture cooks in the pan. Once the temperature of the sugar mixture reaches 238 F, turn the heat off and slowly pour the sugar syrup in a thin, continuous stream into the yolks with the mixer still running. Continue beating the yolks until the mixing bowl is cool to the touch. With the mixer still running, add the softened butter, about a tablespoon at a time. Beat until a fluffy buttercream forms. On a serving platter, place one meringue layer. 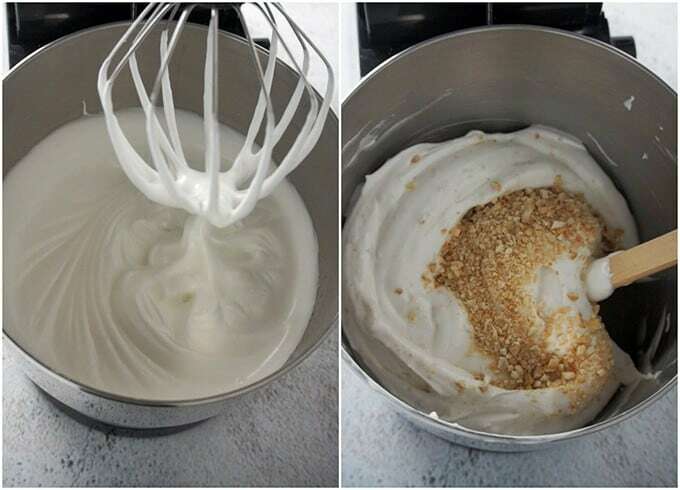 Spread a thin layer of buttercream over the surface of the meringue and sprinkle with some of the chopped cashews. Place the second meringue layer on top. 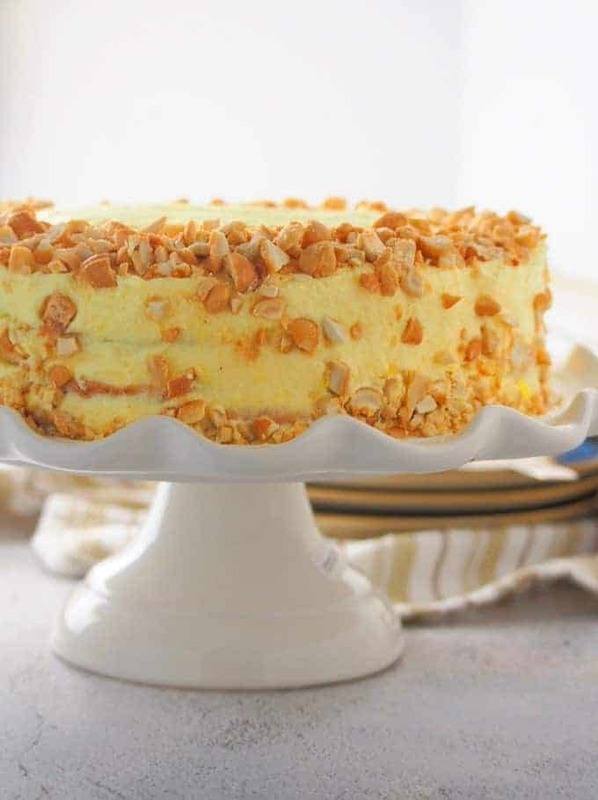 Spread a thin layer of the buttercream and sprinkle with cashews. For the final layer, place the last cake wafer with its bottom side up on top of the buttercream layer. 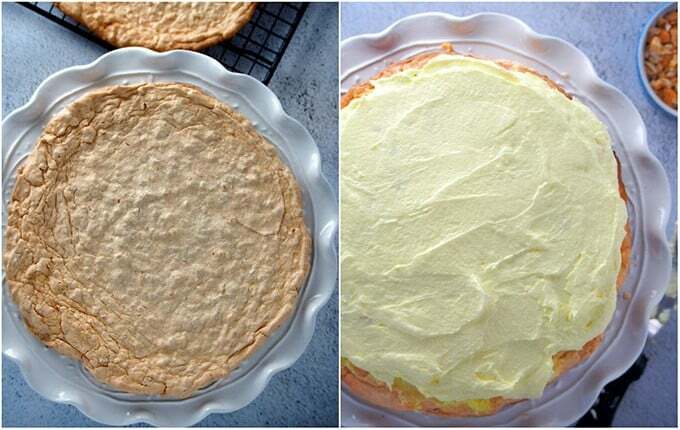 Cover the top and sides of the cake with the remaining buttercream. 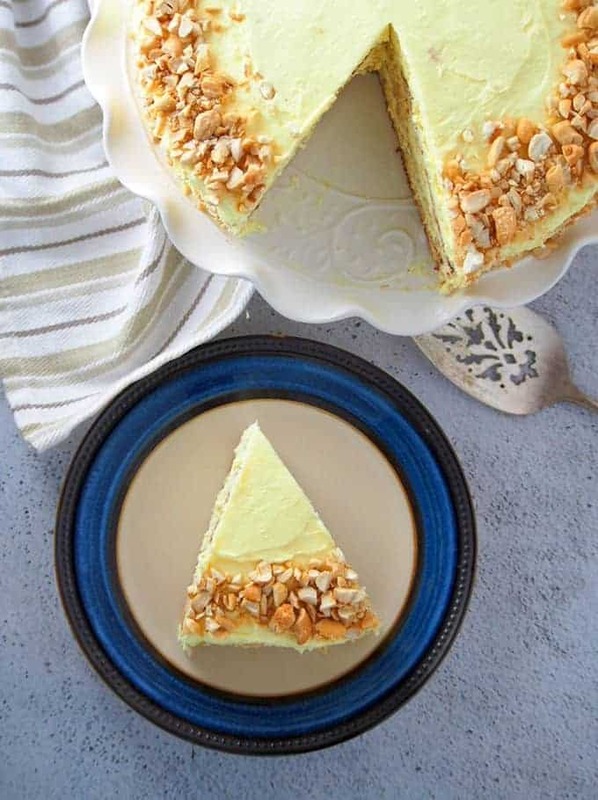 Garnish the top and sides of the cake with the remaining chopped cashews. You can skip the cream of tartar if you don’t have it, but it does help stabilize the meringue. For the best flavor, use roasted unsalted cashews. Toast the cashews used for garnishing. On a parchment-lined baking sheet, spread the whole cashews in a single layer and Bake in a 350 F oven for about 5 to 8 minutes, or until lightly toasted. Watch them closely as they can burn very quickly. Let them cool then chop and set aside. Make sure the butter for the buttercream frosting is soft and at room temperature. Cold butter can make your buttercream curdle, and if its too warm or almost melting, the buttercream will be grainy. Take the butter out of the fridge ahead of time; I usually let it sit at room temperature for 3 hours ahead. 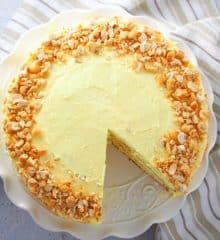 Although cashews are traditional for this cake, you can also substitute almonds, pistachios, hazelnuts or macadamias for variety. And there you have it, a stunning masterpiece for your everyday celebrations. Sans Rival takes a bit of time to make, but so worth the effort. It’s a rich and decadent dessert that’s sure to impress! I can’t blame you if you want to slice and eat it right away, but please don’t! For best texture and flavor, chill the cake for a couple of hours before serving. 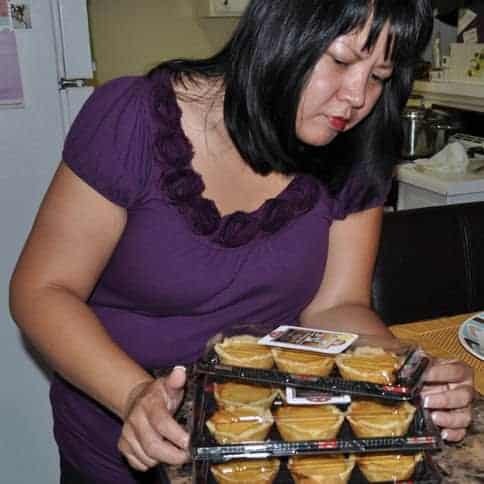 It is also common to freeze the cake; store in an airtight container to seal in freshness. And, of course, enjoy! I hope that you make this cake soon and let me know what you think in the comments below. Make sure to check out these other goodies below. I’ll be back here later this month with my special silvana recipe as well as a black forest swiss roll a la Red Ribbon! Until then, you can find me on my blog for more delicious baking projects. 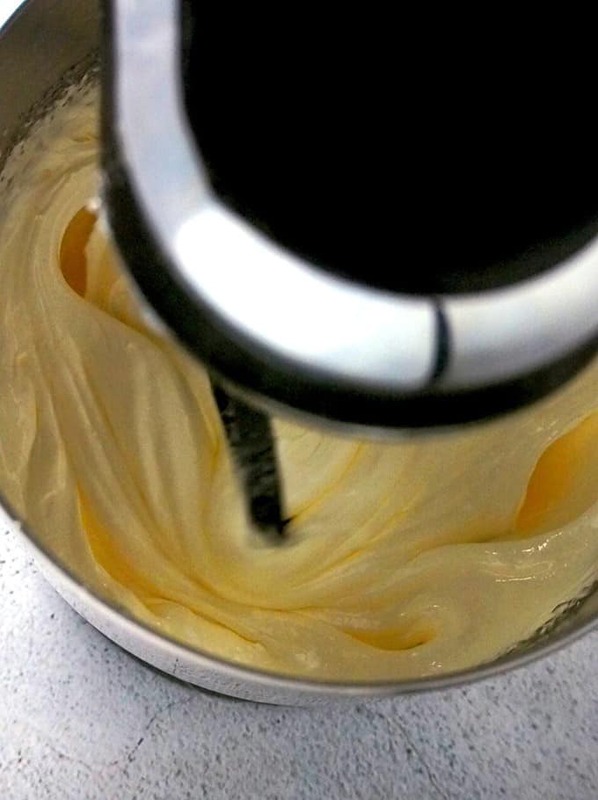 In a bowl of a stand mixer, beat the egg whites on medium-high speed for about 1 minute. Add the cream of tartar and continue to beat until soft peaks form. Bake the meringue in a 325 F oven for about 15 to 20 minutes or until lightly browned. Remove from oven and while still hot, use a wide spatula to lift the meringues and transfer to a cooling rack. 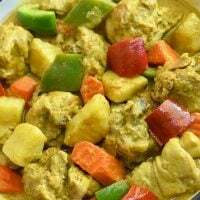 Chill in the refrigerator for at least 2 hours before serving.